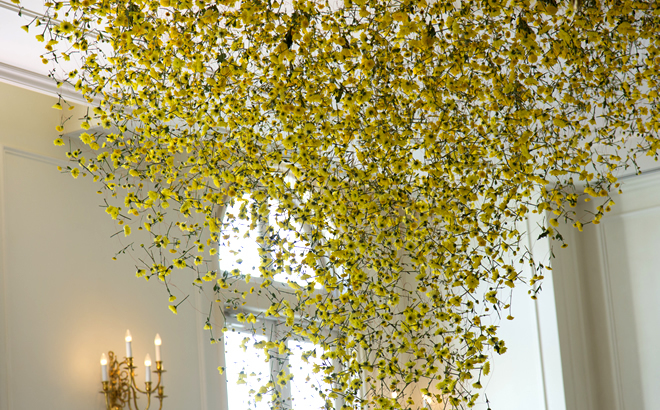 Rebecca Louise Law is a London-based installation artist known for her transformation of spaces using hundreds or thousands of suspended flowers. 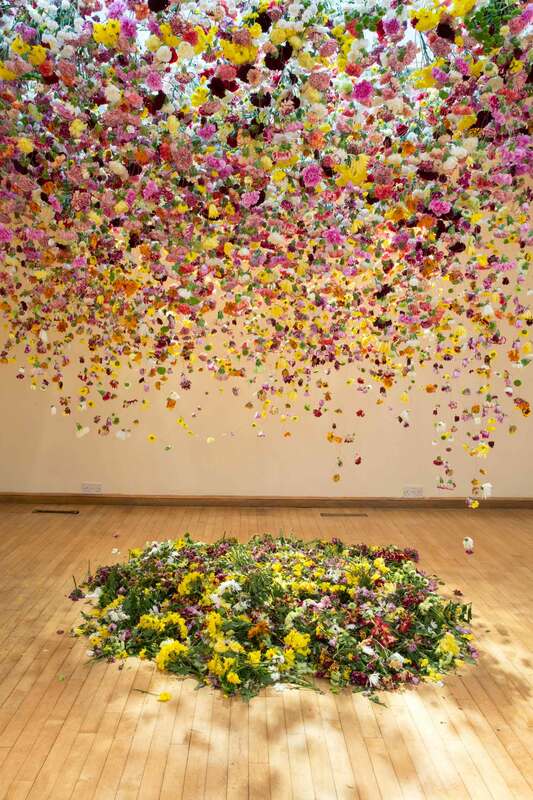 Trained in fine art at Newcastle University in England, Rebecca Louise Law has been working with natural materials for 17 years, a practice that involves a constant exploration of relationships between nature and humans. 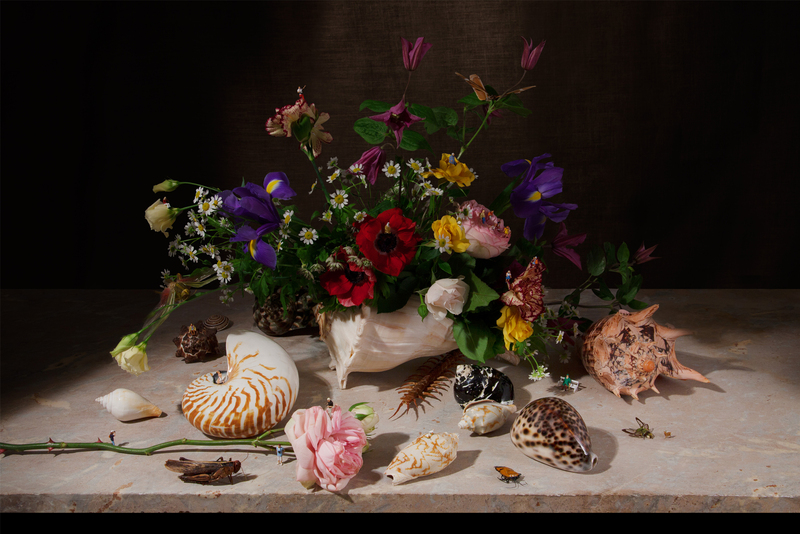 The physicality and sensuality of her site specific work plays with the relationship between man and nature. 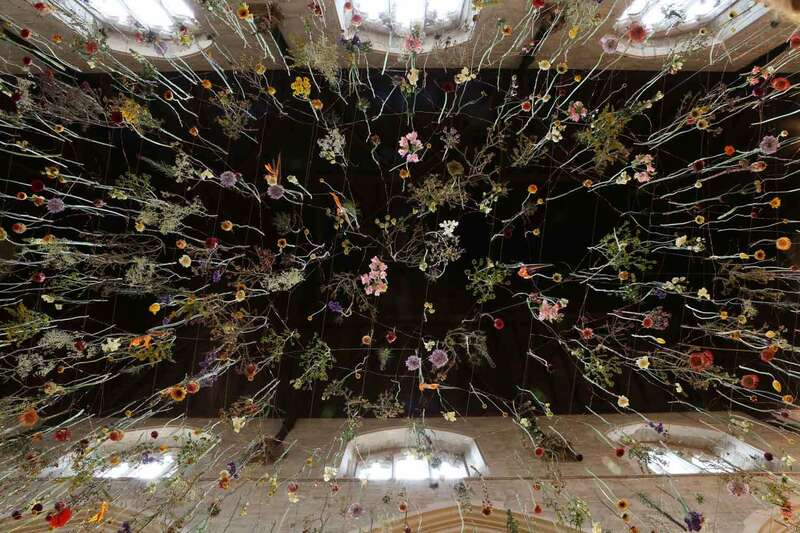 Rebecca Louise Law is passionate about natural change and preservation, allowing her work to evolve as nature takes its course and offering an alternative concept of beauty. 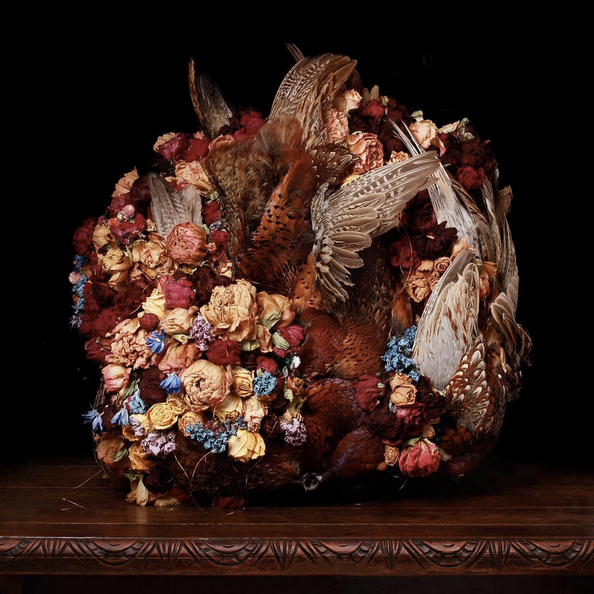 Over the past few years she has worked in numerous public spaces, museums (such as the Royal Academy and the Victoria & Albert Museum), and galleries. She has worked with the Royal Shakespeare Company and has been commissioned by brands like Hermès, Cartier, Gucci or Salvatore Ferragamo. 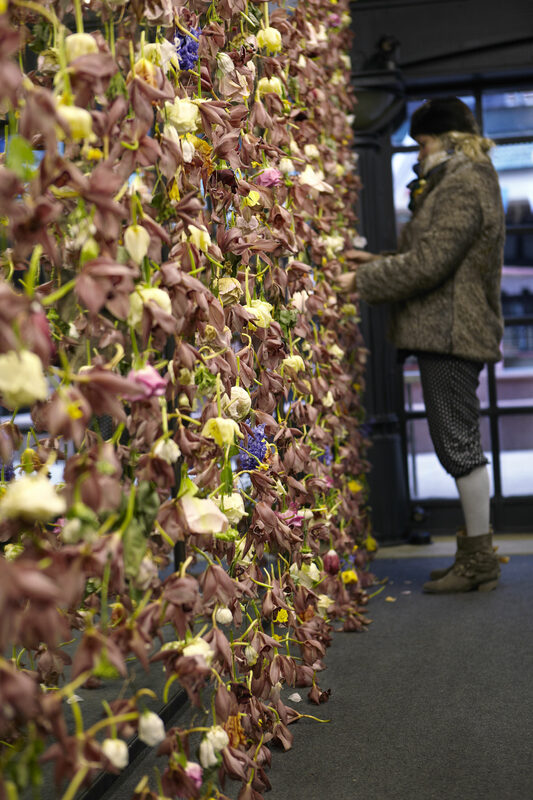 Her notable commissions include ‘The Flower Garden Display’, (The Garden Museum, London),‘The Grecian Garden’ (Onassis Cultural Centre, Athens), and ‘Flowers 2015: Outside In’ (Times Square, New York). 1. 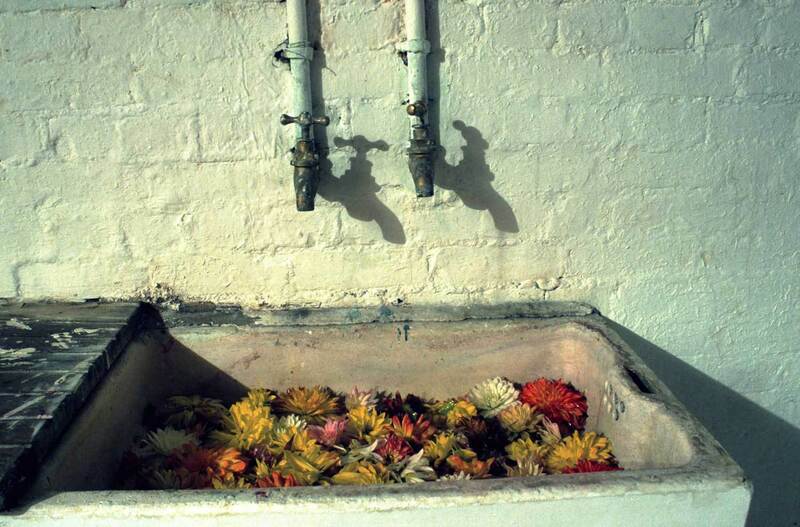 Do you see yourself as a figure of contemporary art ? I am primarily an installation artist. 3. 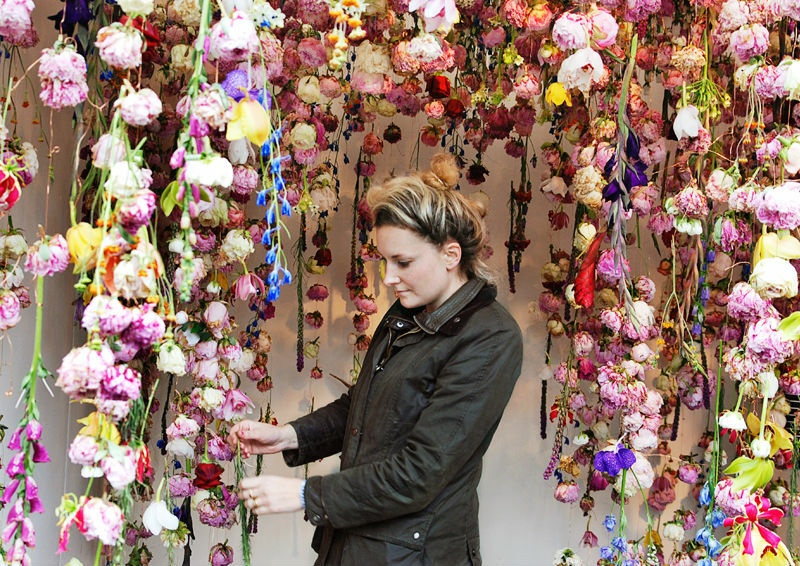 What about your background in the floristry world ? 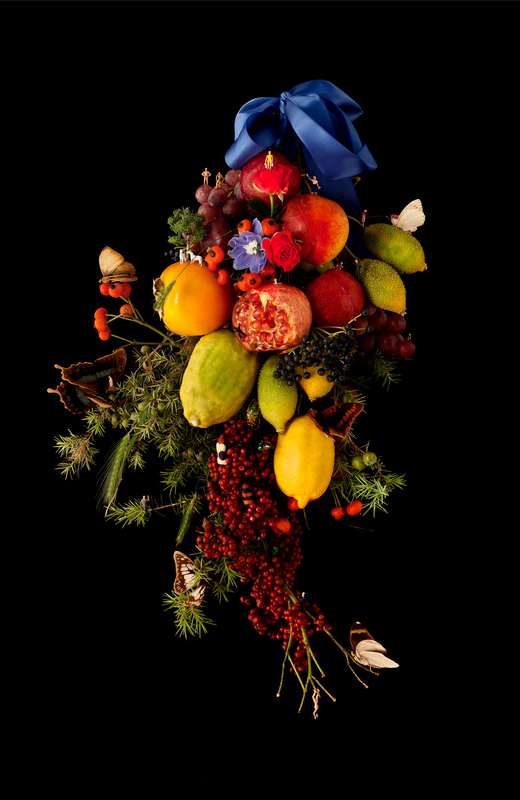 Floristry is the principle profession that combines flowers and creativity. 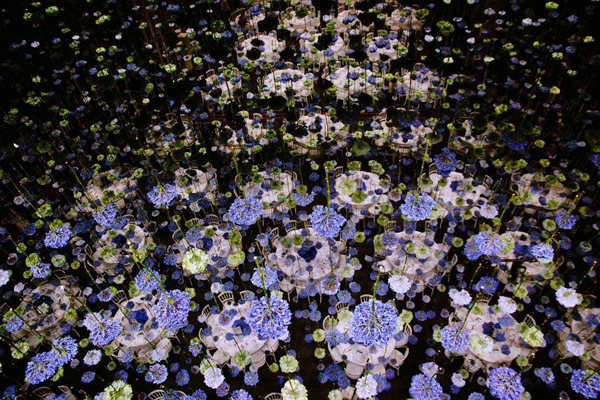 It was important to me to have an understanding of this practice, its history, styles and the cultivation of flowers. 3. 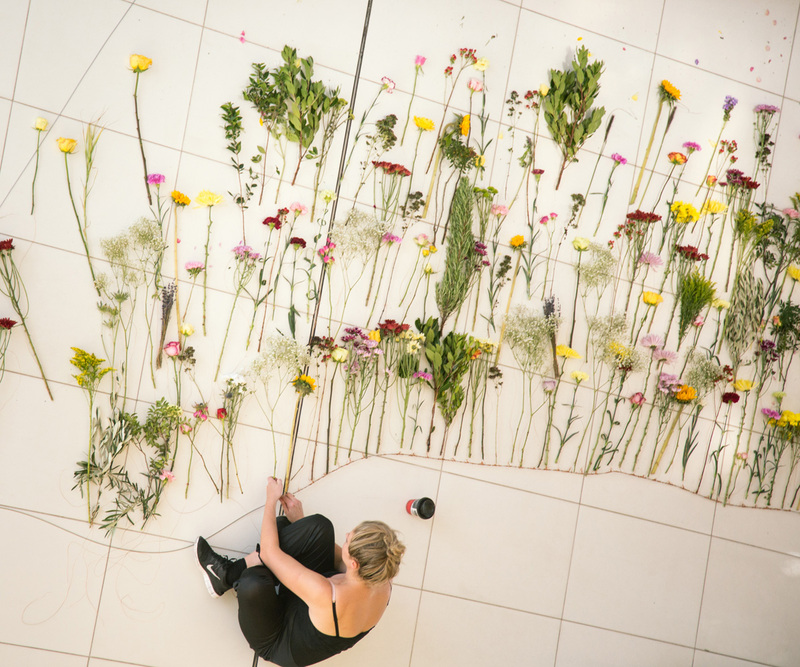 How did you become a floral artist ? I studied Fine Art specialising in large scale oil paintings. Feeling frustrated working 2D and the limitations of the canvas? I searched for a colourful material that I could replace my paint with and work in 3D. After a year of experiments? 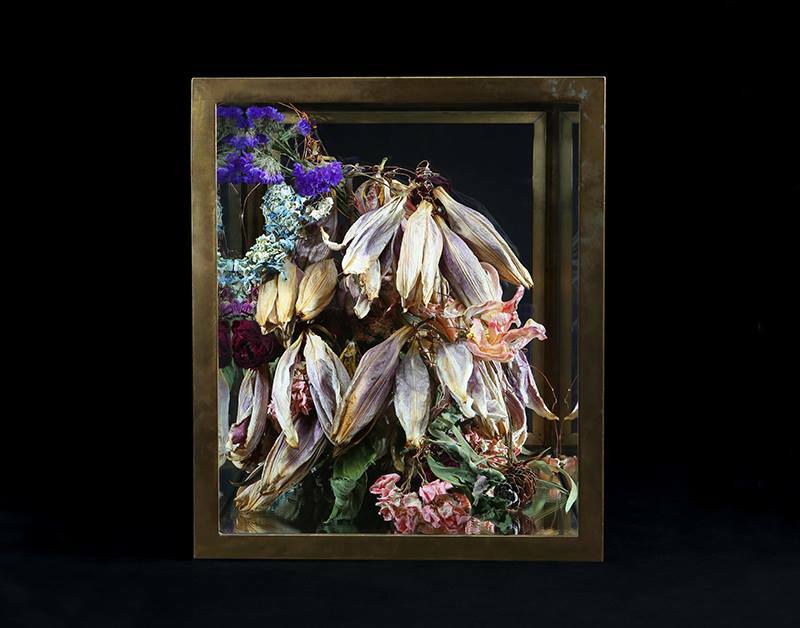 I settled with preserved flowers. 4. Is there an artist who has inspired you ? I’ve always been inspired by Rothko. 5. 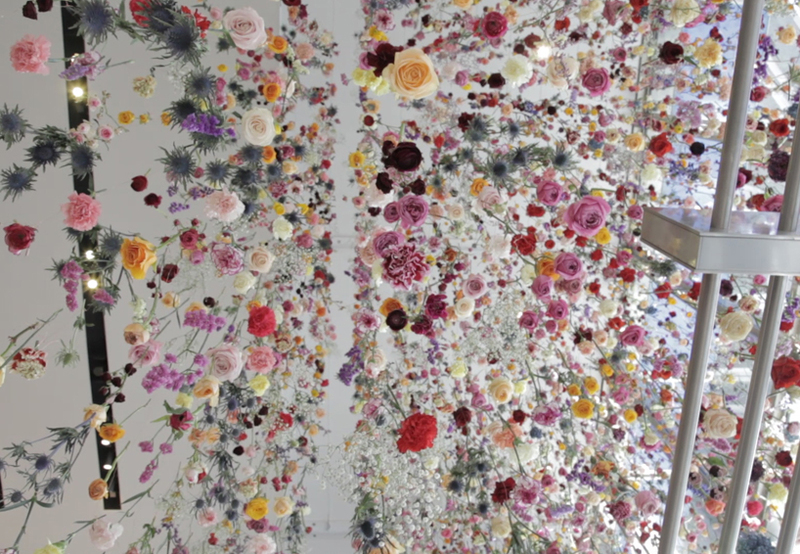 What are your recent art installations and floral commissions ? 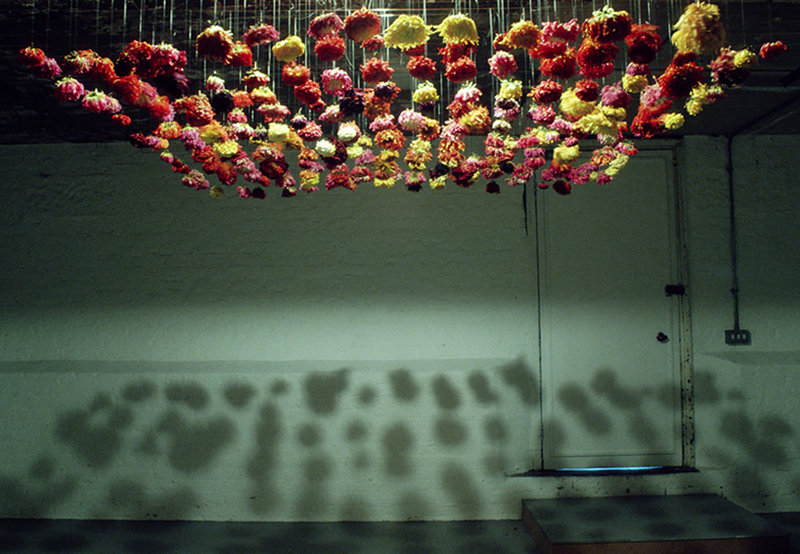 I am currently working on permanent large scale installations in Melbourne, Australia and Berlin, Germany. I also have upcoming exhibitions in the UK, Spain and Denmark. 6. What happens to your creations once the project is over ? Nothing goes to waste. 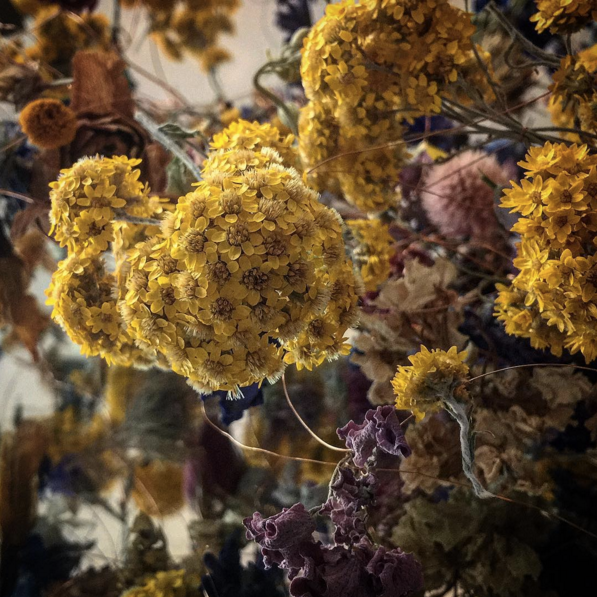 If the installation is installed temporarily I either transfer the piece to a new space or I create smaller sculptures with the left over flowers. These are exhibited in my gallery in London. 7. Where do you go to find inspiration ? I go to the bleak countryside. Anywhere that nature is all consuming. I feel blessed to have worked on some incredible platforms and alongside inspiring patrons. 9. What is your creative process once you have been allocated a space ? I envisage the space as 3D canvas, working alongside the architecture and existing structure. 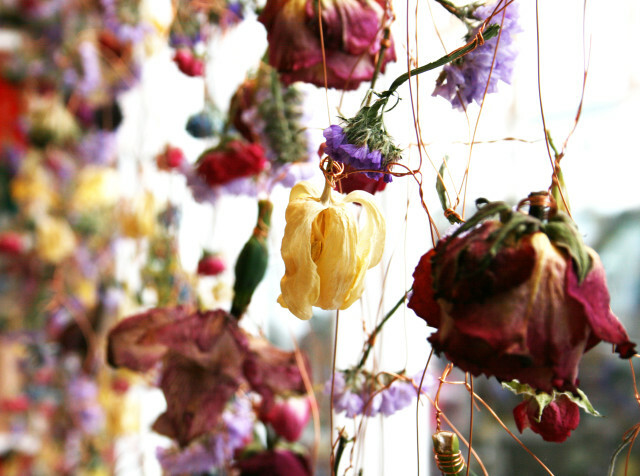 Flowers are like my paint, I place them in response to what I am given. 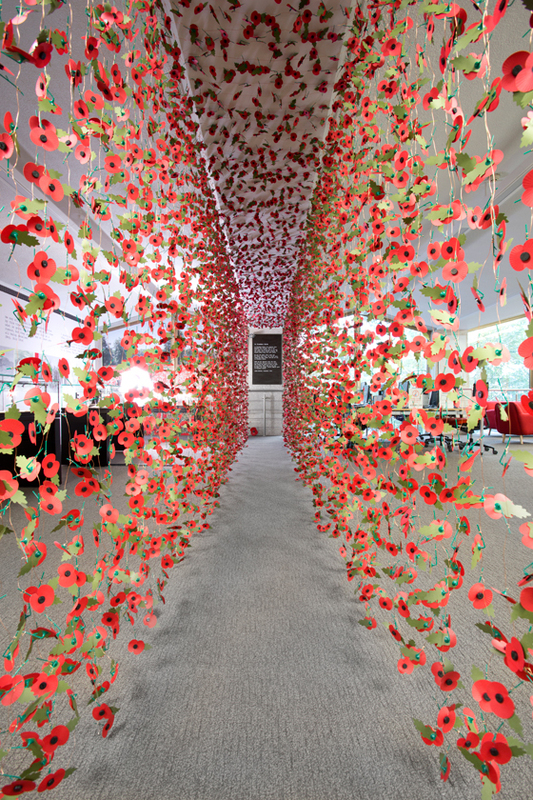 I always consider who will use the space and how long the installation will be in situ. 10. 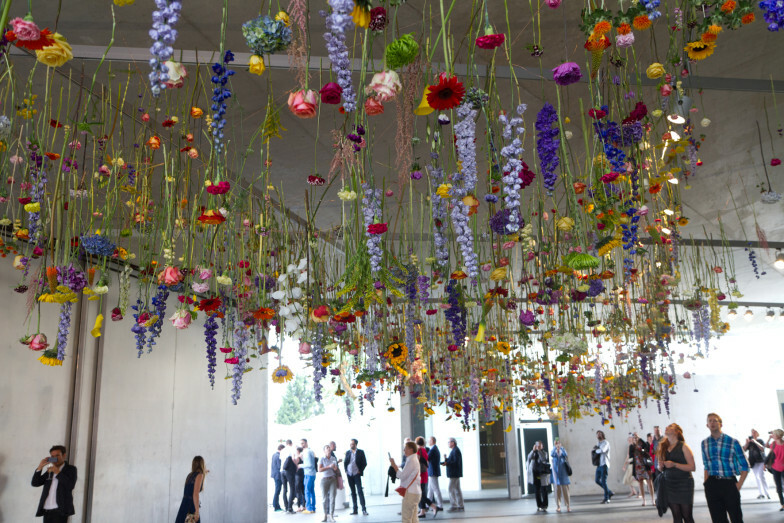 Are the flowers and natural materials you incorporate reflective of the country you exhibit in ? The country and culture play a huge role in my creations. I love embracing new worlds and learning about the symbolism and importance of flowers in each country. 11. 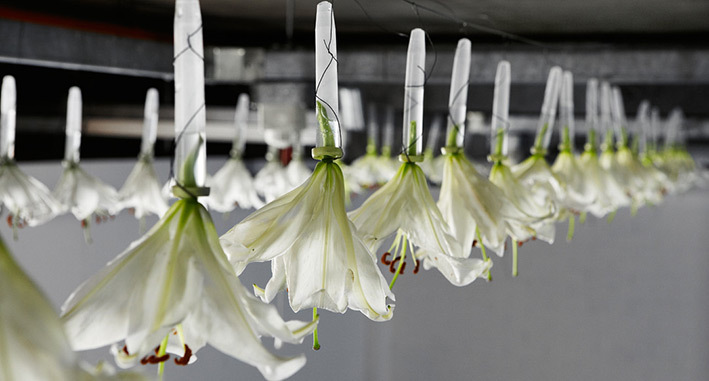 What is your favourite flower and what is your favourite flower scent ? My favourite flower has always been the Garden Rose, its scent is intoxicating. 12. What are your simple pleasures ? Walking, relaxing with friends, good food and wine. 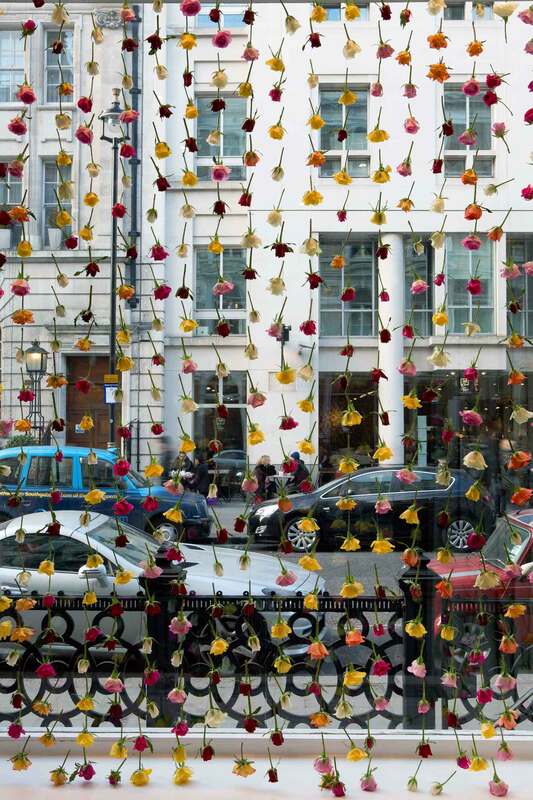 I would love to bring more communities together through creating my installations. I find that the greatest pleasure is working with unique teams on each artwork.